Free to be a child." 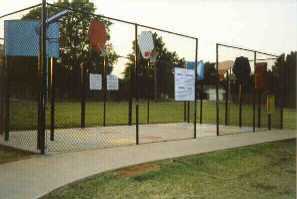 Freedom Trail Playground is located in Yukon, Oklahoma in the City Park along the Old Chisholm Trail. It is designed with a western frontier theme, and features play activities for ALL children, including those with physical and mental disabilities. 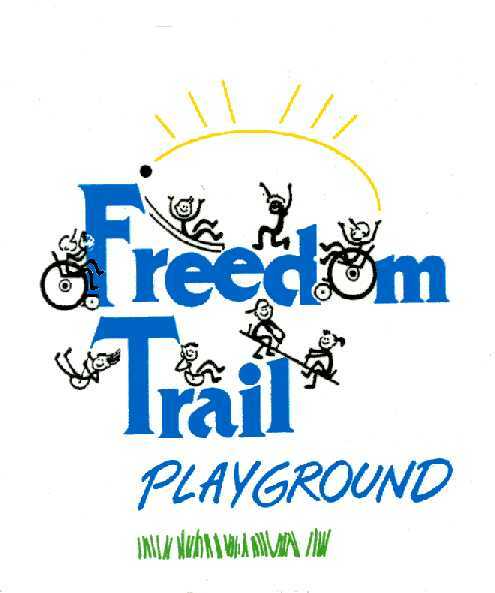 In the summer of 1995, volunteers came together to start building Freedom Trail Playground. With the help from citizens, businesses, and corporations, over $200,000 has been raised. Each of the areas listed below is accessible with interconnecting sidewalks, and each play activity is accessible. Each donor to The Freedom Trail Playground had their name engraved on a granite plaque and placed at the entrance to the playground for recognition. The Lucent Technology Pioneers also painted a map of the United States at the entrance to Freedom Trail Playground! 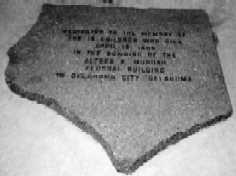 This area was the first area to be built. 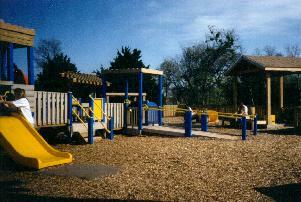 It features scaled down play equipment for children ages 3-5 years old. 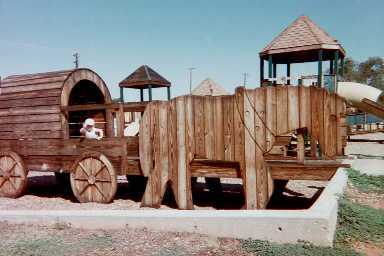 The center piece choo-choo train has a variety of play activities and a low wide slide for toddlers. Consists of a large piece of play equipment linked together by fun bridges and ladders. Two towers are wheelchair accessible, with the third tower being a challenging climb to the top. Slides, climbers, poles, stairs and ramps offer challenges to every child. 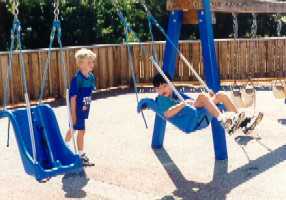 A variety of swings are also accessible. 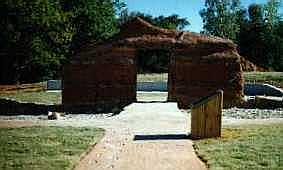 With a sod house background, children can dig for cow bones, or for a dinosaur, along with other Oklahoma artifacts. There are two wheelchair transfer stations and plenty of curved rock walls to lean against. Kids can also play in the waterfall with fools gold and other lost treasures. 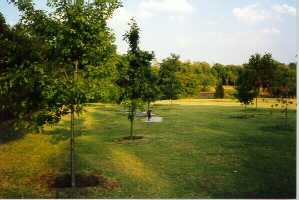 Nineteen trees were planted by the Lucent Technology Pioneers in memory of the nineteen children who died in the bombing of the Alfred P. Murrah Federal Building. A granite plaque and benches mark the area around the memorial. Bond Anderson, a musician from Georgia, created several musical playscapes at the Freedom Trail for everyone to play beautiful music. Was designed with the older child in mind and features a basketball court with goals that raise and lower, as well as a Bankshot basketball game and a small picnic pavilion that is wheelchair accessible.